An event floating on the River Thames, on a site spanning the authority of 4 councils, 2 police forces and the Port of London Authority. 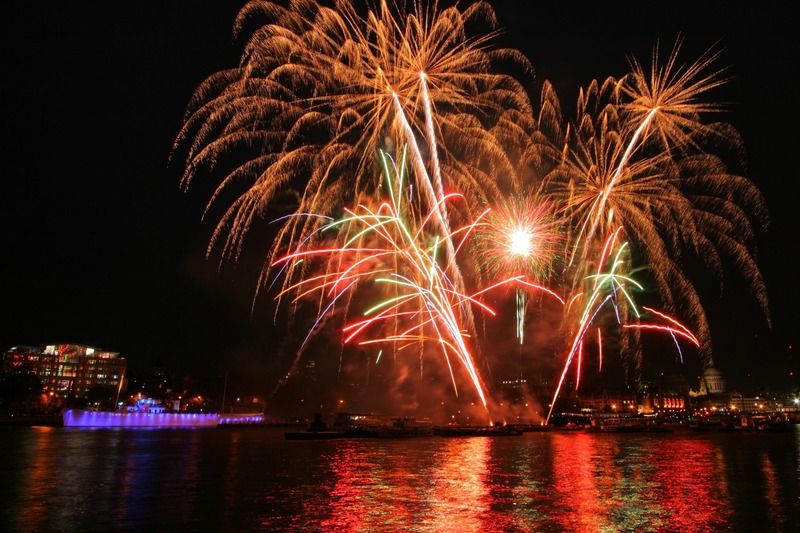 Prior to setting up Light Motif, our MD (Rob Mills) was brought in to provide the design and management of a unique event, on the River Thames, after the Lord Mayor’s Show. Rob provided overall technical management, co-ordination, and event design. A variety of acts were booked – on floating stages, speed boats and other platforms; fountains were installed in the middle of the river; a 400m wide video wall was created on the entire length of Blackfriars Bridge; and a sound system, mounted on many pontoons was set up to provide sound to over a mile of the riverbank. The sound system was also used to set the fireworks display to music for the first time – to a soundtrack selected by our MD. Other specialist sub-contractors were used to provide the various elements for this large-scale event.